Ice Cream Mix Available from Mikey's In Greencastle or Dairy Maid in Frederick MD. Must be plugged directly into outlet, this is a commercial unit. Must be used inside an air conditioned area. Single bowl makes app. 1 and 1/2 gallons at a time. Takes about 1 hour 10 minutes to freeze ice cream. Uses ice cream mix (sold separately). Should keep ice cream mix in refrigerator. Perfect for small, indoor parties. This machine will give you about 20-30 servings per 90 min. based on a 4 oz. serving. It plugs into a standard 15-amp plug and is portable. 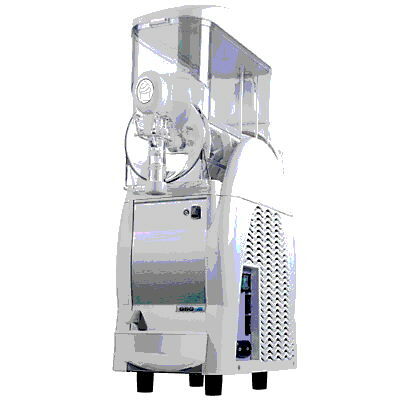 * Please call us for any questions on our machine ice cream rentals in Hagerstown MD, Williamsport MD, Martinsburg WV, Waynesboro PA, Mercersburg PA metro areas.